As a followup to my previous post regarding The Connecticut Coalition for Achievement Now's (ConnCAN) report on Danbury High School, here's a breakdown of ConnCAN's report card on the city's elementary and secondary schools. Each year, Connecticut administers two standardized tests, the Connecticut Mastery Test (CMT) and the Connecticut Academic Performance Test (CAPT). These tests are designed to measure how well students are achieving on grade-level academic subjects. Both tests are designed and administered by the State Department of Education. The CONNECTICUT MASTERY TEST (CMT) is administered each spring to all public school students in grades three through eight. The CMT measures how student achievement in the areas of mathematics, reading, and writing compared to the expectations for their grade level. In fifth and eighth grades, science is also tested. The CONNECTICUT ACADEMIC PERFORMANCE TEST (CAPT) is administered each spring to all public school students in tenth grade. The CAPT measures student achievement in the areas of mathematics, reading, writing, and science compared to the expectations for high school students. The skills tested on the CMT and CAPT are identified in the Connecticut curriculum framework, and each student’s achievement is compared to a set of established standards for his or her grade in each subject area. There is no “passing” grade on the CMT or the CAPT. Instead, the State of Department of Education sets a “goal” level score for each subject area in every grade tested. The State Department of Education gives each student a raw score (ranging from 100-400 points) and assigns score cut points for each of five levels: Advanced, At Goal, Proficient, Basic, or Below Basic. The State Department of Education reports scores for schools and districts as the percentage of students scoring at one of these levels. According to the State Department of Education, a student scoring at the “Goal” level has the knowledge, skills, and critical thinking abilities that are “reasonable to expect of students” within their grade level. ConnCAN uses the Goal standard to set the bar for rating schools since it is the state’s best estimate of students meeting or exceeding grade-level expectations. The State Department of Education reports on the percentage of students “At Goal” in the subjects tested (math, reading, writing and science) for schools in which at least 20 students in any given grade completed the CMT or CAPT. ConnCAN’s report cards provide a single score to help readers compare schools and subgroups within those schools. To do so, we calculate a single “Students At or Above Goal Range” by taking that average percentage of students at or above goal across all subject areas on CMT and CAPT. We calculate this score for elementary schools using the results from the fifth-grade test (with fourth-grade results used when an elementary school does not have a fifth grade). For middle schools, we use the results from the eighth-grade test (with the seventh-grade results used when a middle school does not have an eighth grade). For high schools, we use the results from the CAPT, which tests tenth grade students only. These scores provide a straightforward, easy-to-use yardstick on how well schools, on average, meet the needs of students across key subject areas. To provide families and communities with a clear benchmark for how their child’s school or district performs, we use achievement scores to assign the school a letter grade from A to F. For each school and district we also show how scores compare to district and state averages. We assign each school and district letter grades in four categories: Performance Gains, Overall Student Performance, Student Subgroup Performance, and Achievement Gap. In short, a review of ConnCAN's report for this year compared to last year's write-up provides mixed reviews for the city's elementary and secondary schools with some showing improvement (Pembroke School, Mill Ridge Inter, Stadley Rough) while others show a nominal to moderate decrease in student performance (Shelter Rock, Park Ave, Hayestown). If you're a parent and want a more detailed analysis of your child's school, go to the ConnCAN website. DEC 2009: ConnCAN gives Danbury failing grade. 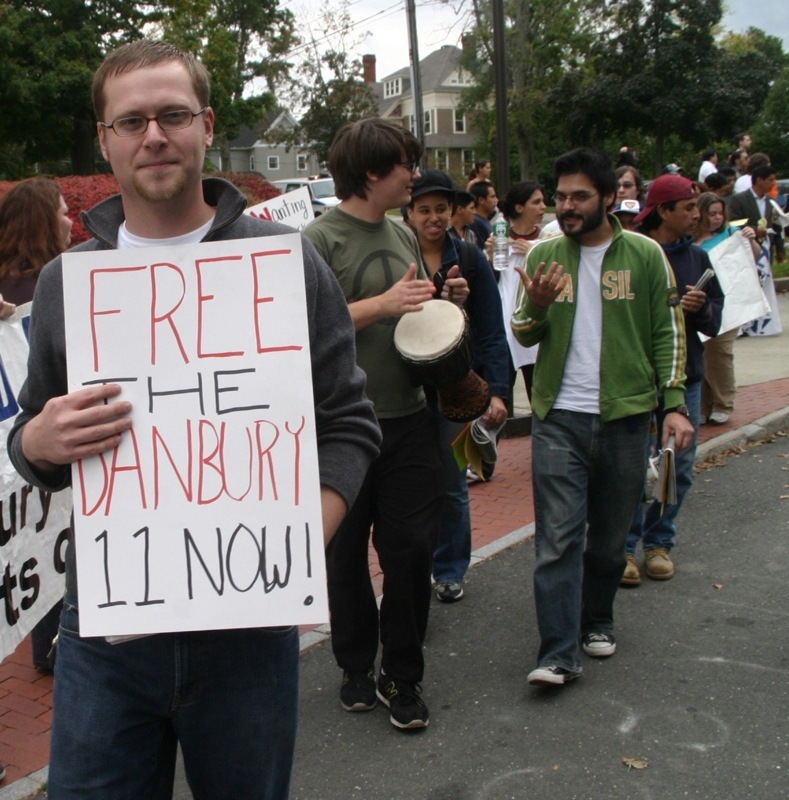 Nov 19 2010: ConnCAN gives Danbury High a failing grade. Danbury faces a quadruple whammy in the coming budget season, Danbury Mayor Mark Boughton told the department heads Thursday. The state is cutting aid. Federal stimulus money that reached almost $4 million last year for the city and schools combined will be gone next year, and negotiated employee benefits and pay raises may cost the city another $3 million. That could lead to layoffs in the budget that starts July 1, 2011. Boughton said next year's revenues will be down nearly $8 million and it's expenses if every department budget comes in flat will rise almost $3 million. That is a bad scenario, but it is possible, Boughton said. "The state is talking about cutting services and shared pain," Boughton said. "Just tell us straight. What that translates into is they're doing less and they're giving us less money." "Everything is on the table. 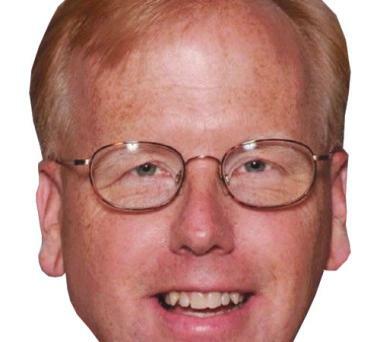 You'll see layoffs," Boughton said. the number of legal settlements and lawsuits the city currently face. This is what you get when you have a part-time mayor who has been more interested in raising his state-wide name recognition for the last year. The rank number is messed up, too. When there's a tie, they don't skip a number. So the rank might go 50, 51, 52, 52 (tie), then they go to 53, 54, etc. Should skip the 53. So Danbury shows a 125th rank, but is actually 145th on the list. Just data nitpicking. Yesterday, the The Connecticut Coalition for Achievement Now (ConnCAN) released their 2010 School Rankings and when it comes to High School performance, the City of Danbury is an embarrassment. Out of the 164 high schools in the state of Connecticut, ConnCAN ranks Danbury High 125 with only 30 percent of the students meeting state goals across all subjects (a drop of 2 percent from 2009). Given that the education spending takes up the majority of the city's budget, parents should expect more bang fort their buck. Based on these results, if I had a child attending DHS, I'd be rather upset. Makes you wonder about that so-called English teacher at DHS who arrogantly spends her class time NOT teaching English huh? For detailed information on ConnCAN's report, click here. I'll break down ConnCAN's report on Danbury's elementary and secondary schools later. Yesterday, the Bethel Board of Selectmen voted unanimously to send a revised road repair project to the board of finance for approval. The original 8.5 million dollar proposal was rejected by the Board of Finance last week. Under the new proposal, funding for the repairs to the roads will be done in increments with the first two million going towards phase one of the project. WIth the Board of Selectmen's vote, the proposal now goes to the Board of Finance for final approval this Thursday before public referendum. While the selectmen agree that the conditions of the road are unacceptable and need to be addressed, the Democrats and Republicans have different views on how best to fund the project. 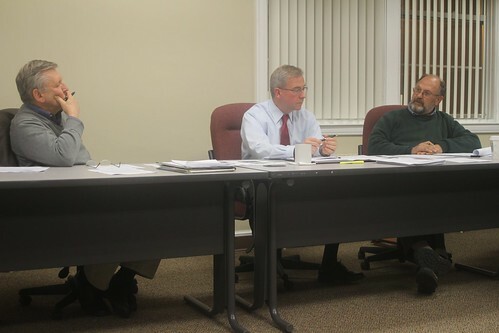 While expressing their displeasure with the Board of Finance's rejection of the original proposal, Democratic First Selectman Matt Knickerbocker and Selectman Richard Straiton supported the idea of paying for the multi-year project with one bond as opposed to multiple bonds over a series of years. Sympathizing with the concerns raised by the Board of Finance, Republican Selectman Paul Szatkowski stated that funding the project with a series of short term bonds is a better approach in light of the current state of the economy and the uncertainties with level of state funding for next year's budget. From last night, here's video footage of the Board of Selectmen meeting. Residents of Bethel are frustrated with the amount of time it has taken for the local government to address the road repair problem…and rightfully so. Accusations of obstruction and dirty politics have been tossed around (which is par for the course in Bethel). Whether the accusations are warranted or over the top is irrelevant…what's relevant is that the roads in the town are an embarrassment. Hopefully, with yesterday's vote, the residents of Bethel are one step closer to having at least a portion of the town's roads repaved. Tonight, the Bethel Board of Selectmen are scheduled discuss the Board of Finance recent rejection of the much debated road repair proposal. The video stream will start at 7:30 PM. Today, the Secretary of State's office randomly selected 86 polling places to be audited. Out of the 86 places picked, two polling places in Greater Danbury (Frank A Berry School District 5 in Bethel and Pembroke School Ward 2, Distrcit 9 in Danubry) were selected. The audit will consist of a hand count of the Nov 2 general election results that will be compared with the machine count in order to make sure that the process worked correctly. The audits can begin no sooner than November 17, 2010 and must be completed by November 22, 2010. Connecticut General Statute 9-320f states that local Registrars of Voters, “… shall conduct a manual audit of the votes recorded in not less than ten per cent of the voting districts in the state, district or municipality, whichever is applicable. Such manual audit shall be noticed in advance and be open to public observation.” The results of audits will be analyzed by the University of Connecticut and then presented to the Secretary of the State’s Office and the State Elections Enforcement Commission, and ultimately made available to the public. · Longfellow School, 139 Ocean Terrace. Tomorrow night, the Bethel Board of Selectmen are scheduled to address the board of finance's rejection of the road repair renewal proposal. At their last meeting, to the disapproval of First Selectman Matt Knickerbocker and many in attendance, by a 4-3 margin, the Bethel Board of Finance rejected and voted to remand the 8.5 million dollar road repair plan to the Board of Finance for further consideration. After the board's vote, I had a chance to talk to First Selectman Knickerbocker and get his opinion on the board's vote and why the proposal is should go for a referendum vote in it's current condition.